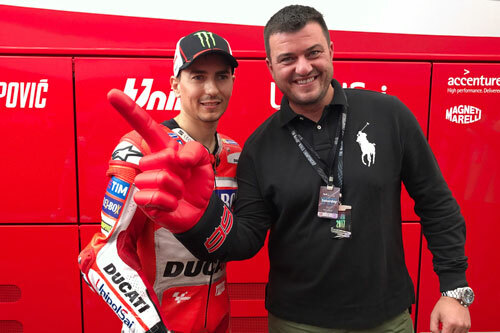 Jorge Lorenzo fans around the world, rejoice! You can now celebrate in iconic fashion with the Official Celebration Hand of the 5-time World Champion. 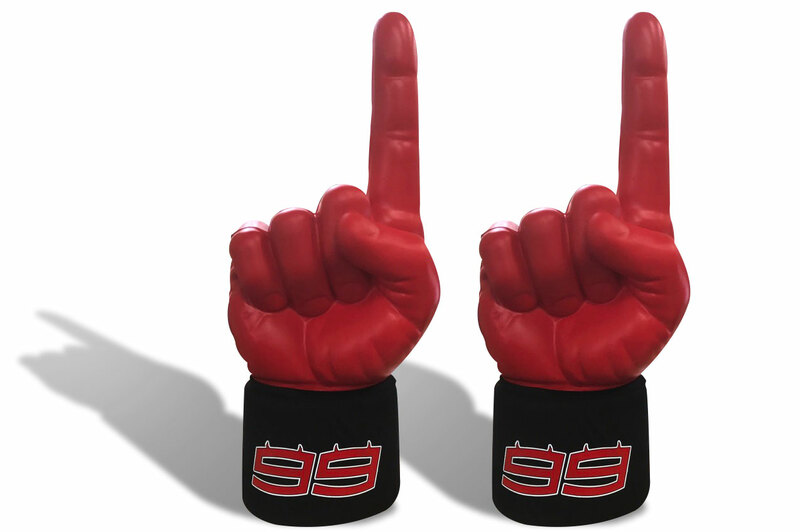 Designed, produced and distributed by Carlisle-based Branded Distribution, this superb 3D foam hand is the outcome of an official license signed with the Palma de Mallorca rider thanks to the consultancy of RTR Sports Marketing. 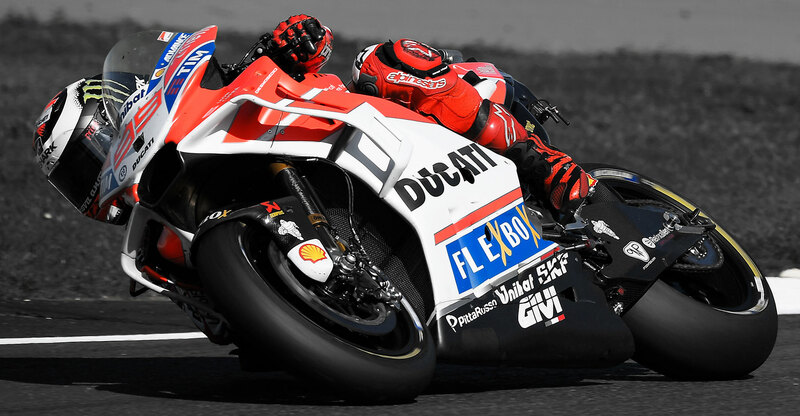 Fans of the Ducati rider will find the Celebration Hand both online and offline, at booths and stores on and off the tracks of the MotoGP Championship. The hand, sporting the traditional red and black colors, will feature the “Por Fuera” logo and the #99 Logo. For Branded Distribution it is yet another brilliant step forward in their MotoGP Licensing path, with a growing collection of superb-quality, innovative items.